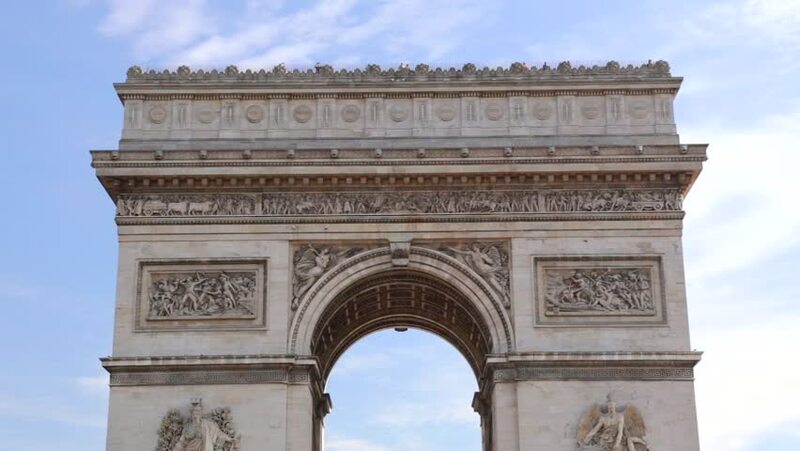 4k00:13PARIS, FRANCE - JULY, 2015 Time Lapse of the Arch Of Triumph (Arc de Triomphe) from a low angle view in the evening. Tourists are passing by in motion blur. 15 minutes Timelapse. 4k00:13Low angle view of the Indian Gate, Delhi .